Welcome to Agria Animal Insurance. 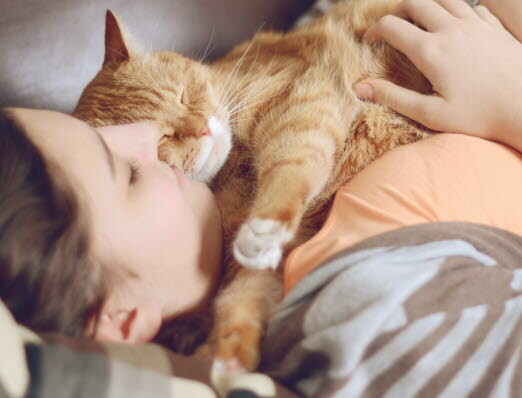 This is the section of our website where we provide information in English to anyone who would like to know more about the different types of pet insurance we offer. We answer your queries in English and help you with the process of taking out an insurance policy. If your pet or horse becomes ill or injured and needs to go to a vet, it can be expensive. If you have a health insurance, you can provide your pet with the best care without having to pay for all the costs yourself. You can choose a pet or horse insurance with a cover that suits you, your pet and your finances. It should be easy and straightforward to insure your pet. We offer health and life insurance that to cover dogs, cats and horses. 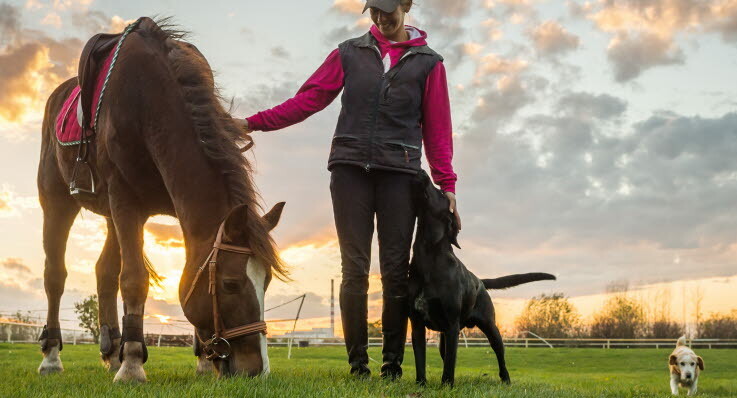 It is statutory in Denmark to have liability insurance for your dog and horse. We offer this insurance at a very fair price. Veterinary care insurance will give you peace of mind if your pet or horse gets ill or injured and you need to visit the vet for examination or treatment. Veterinary care insurance provides you with reimbursement for the costs you incur at the vet above your excess. Gain further peace of mind with a life insurance that will provide you with compensation equivalent to the pet’s or horses value if it dies, needs to be put to sleep, runs away or is stolen. You don’t need to be a Danish citizen to be able to have your pet insured with Agria. You can take out insurance with us if you have a registered permanent address in Denmark. Agria Dyreforsikring provides Denmark’s animals and their owners with flexible insurance solutions. Agria is a wholly owned subsidiary of Länsförsäkringar and is the Länsförsäkringar Alliance’s company specialising in animal and crop insurance. Agria also operates in Sweden, Norway, Finland, France and the UK. Please note that the English policy wording is an unauthorised translation of the Danish original policy wording. The Danish original policy wording takes precedence over the English translated policy wording.